Arpeggio Music Studio was founded in 2005, and provides the school-aged youth community with piano, voice and music theory as well as history lessons. Yana Shelkovskaya is the head pedagogue with over 25 years of experience working with young children as a mentor. She has a dual education in Piano and Voice/Conducting. In 1985, she received her diploma in Piano Performance from Tchaikovsky Music College in Yekaterinburg, Russia. In 1993, she completed her degree in Music Education in the Ural State University, where she specialized as piano performer, choir conductor and vocalist. She has worked as a private piano instructor at St. Andrew’s College in Aurora, as well as the Fellowship Presbyterian Church in Etobicoke as Music Director, Choirmaster and Organist. Each year she prepares her students for RCM auditions, examinations and competitions in the Greater Toronto Area. 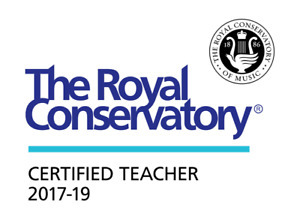 In 2015, Yana completed the Royal Conservatory Certification Program and received the designation of Piano and Theory/History Advanced Specialist. The studio strives to uphold a vibrant and open culture of cooperation between teacher, parent and student. This underlying expectation of involvement from all sides helps ensure the high success rate of students. 880, Grandview Way M2N 7B2 North York, ON.